All this and more was accomplished with the help of three mission teams. 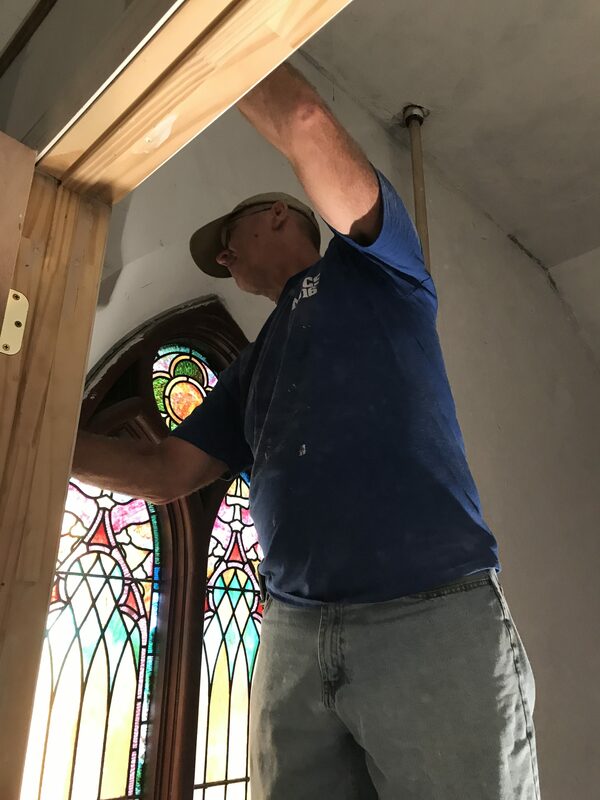 Normandale Baptist Church (Fort Worth, TX), First Baptist Church (Kingsport, TN), and Colorado Christian University worked alongside our G2 Team. 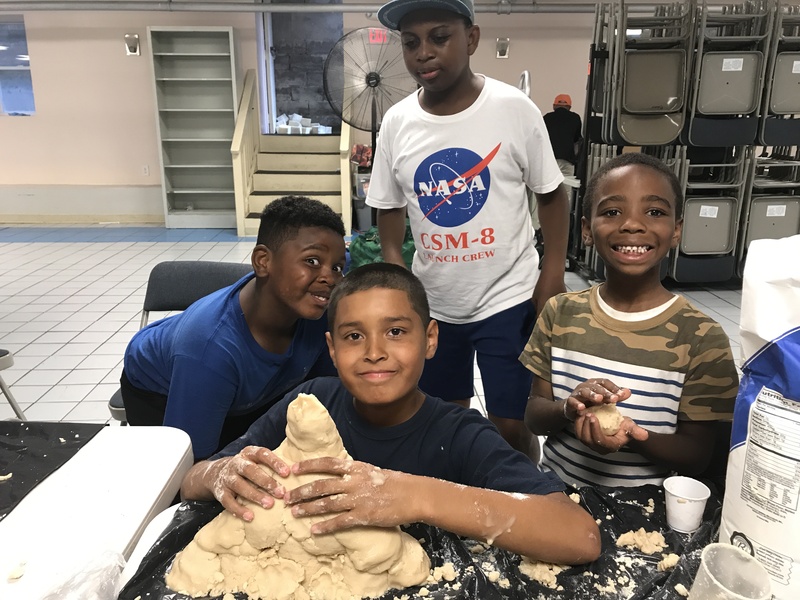 Check out the pics below to SEE some of the things that have taken place this week. However, around Graffiti we learn to “SEE THE UNSEEN.” It’s one of our Upside Down Principles about faith. We have no doubt this summer that God has been at work growing faith. As you look at these pics, please pray for the things UNSEEN. Ted plus a crew of others finished building a new wall, creating a new work room for our artisans. We finished moving into our new home. 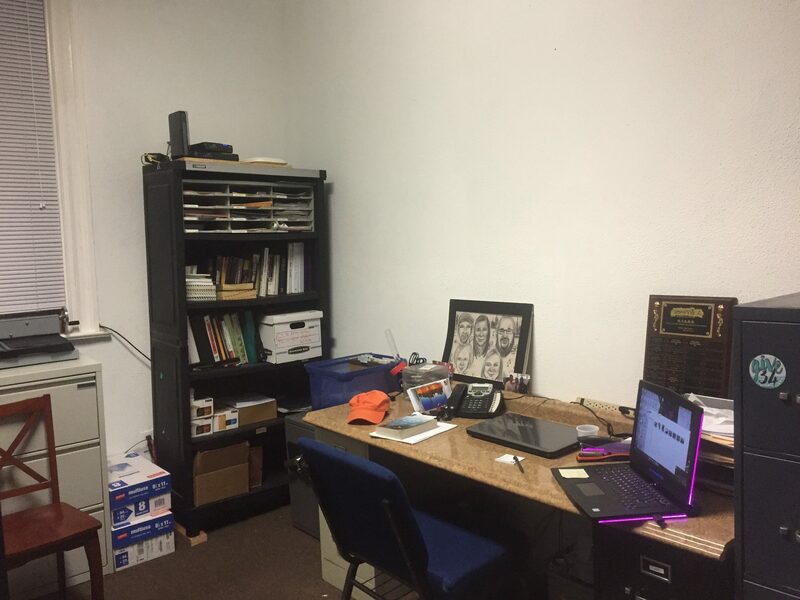 Check out G2’s new office! 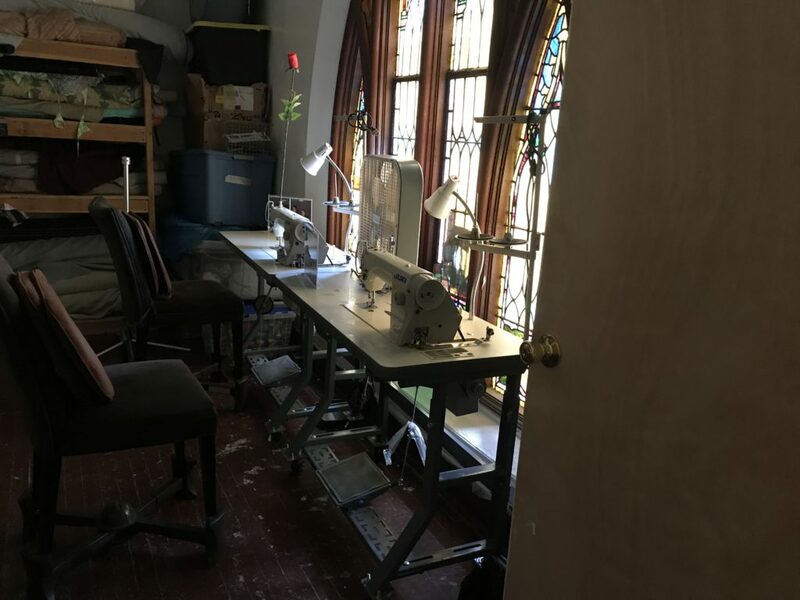 Here’s the new work room for the artisans! All moved in and ready to start on new products in September. 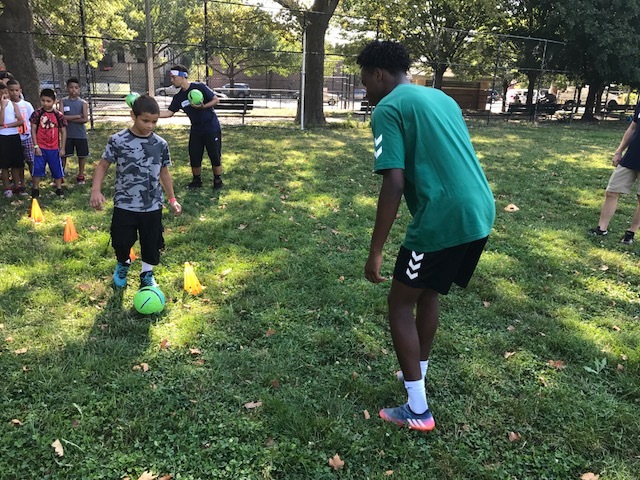 One of the summer youth playing soccer with one of the participants during soccer camp. 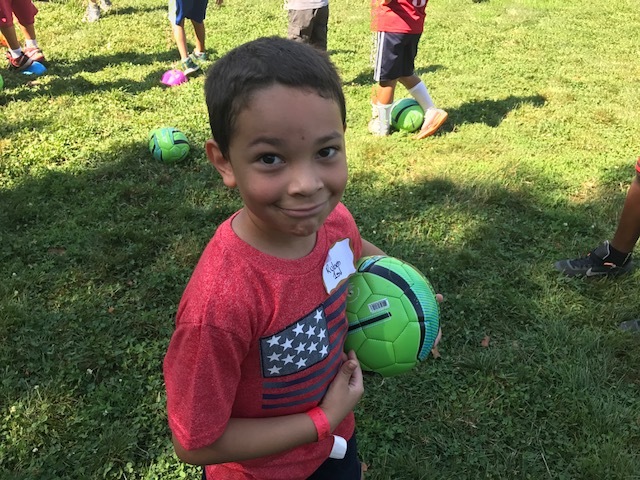 At the end of the week, every participant in soccer camp receives a free soccer ball. Soccer camp participants sitting during a large group session. 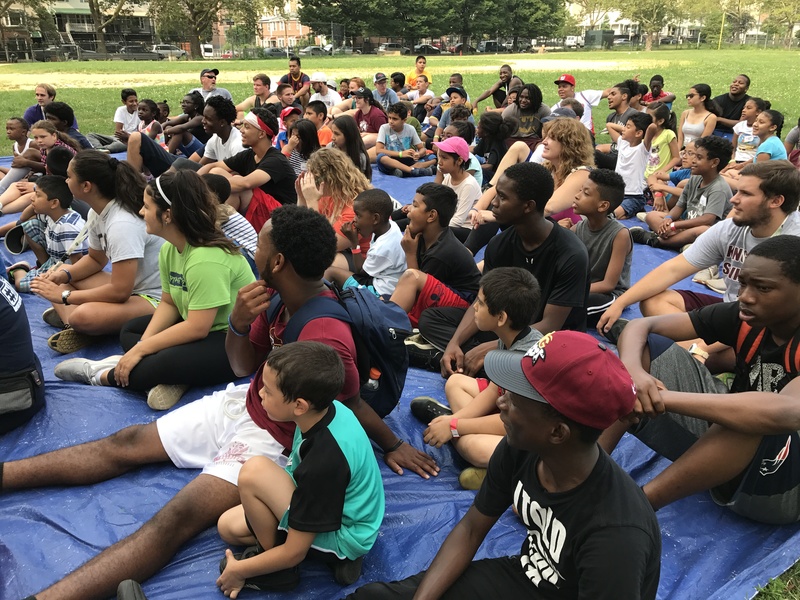 Here they learn our expectations, recite our memory verse, and listen to a creative presentation of God’s Word. 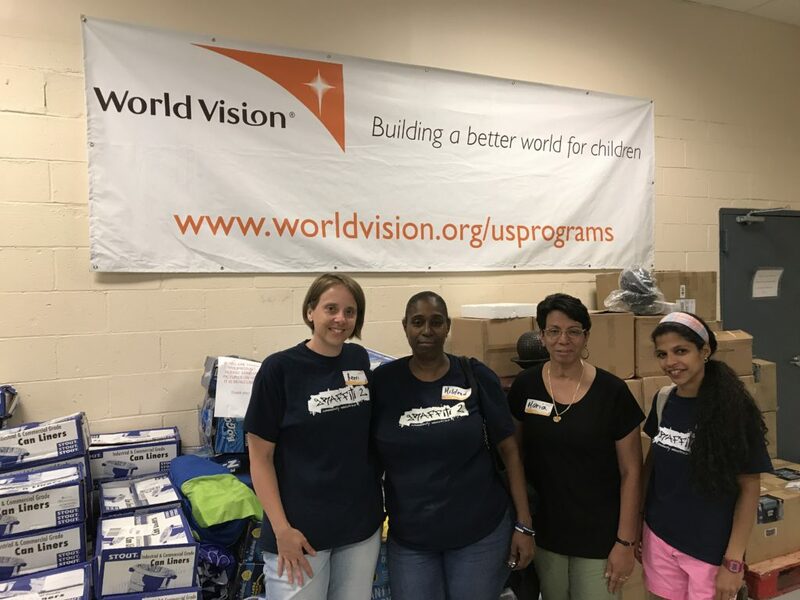 Our Summer Moms volunteered at World Vision this week. 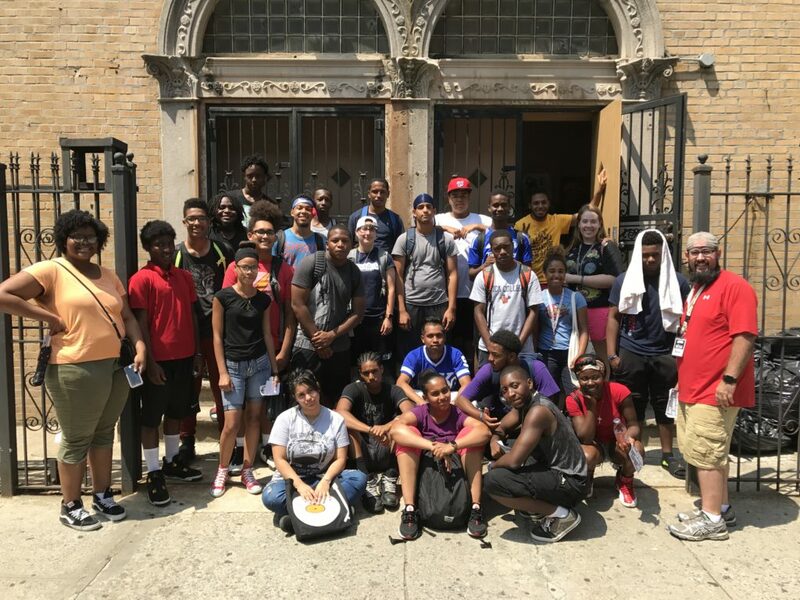 Over 40 youth from the Bronx participated in G2’s Summer Youth Program. Truly, this was the best summer yet. Please find a face in this group and commit to pray for them. Our G2 Kids practiced their measuring skills this week by making Moon Sand. 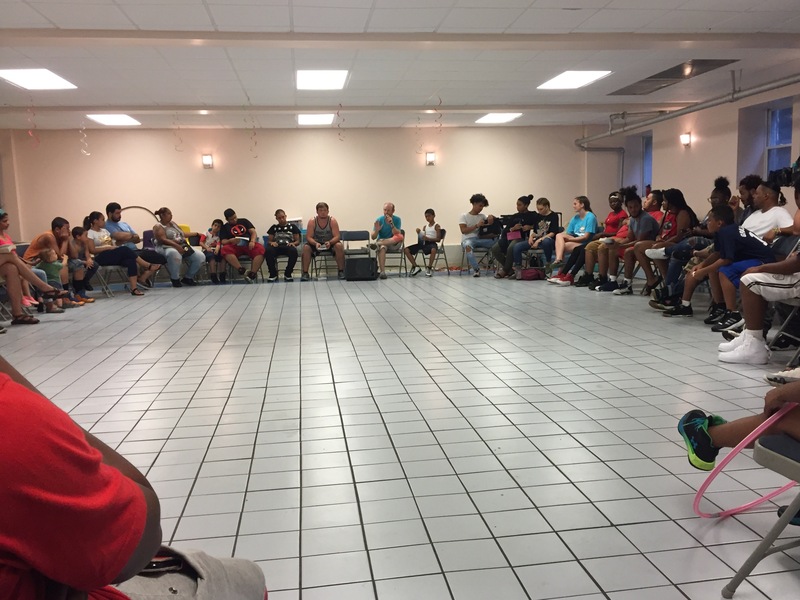 Each Thursday night, G2 hosts a community dinner followed by a Bible study. Pictured above is the Bible study from this past Thursday. All who attended were very aware of God’s presence throughout the evening as people shared testimonies from their life.